Expansion of new vehicle showroom and ADA accessibility enhancements. Weiber Powell + Grunigen Inc. 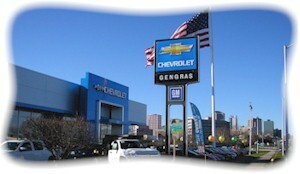 In a hopeful sign of an improving economy, Gengras Chevrolet in East Hartford retained Meehan & Goodin to prepare topographic surveys and a site plan modification as part of their new vehicle showroom expansion project. Building accessibility enhancements, including ADA ramp, showroom vehicle ramp, and stairs were included in the project.